Home » News » Next CURE seminar: Thursday, May 8, 2014 ! Next CURE seminar: Thursday, May 8, 2014 ! Posted May 7, 2014, in News. A series of policy shifts over the past decade promises to change how Americans decide where to send their children to school. In theory, the expanded use of standardized test scores and the boom in charter schools will allow parents to evaluate their assigned neighborhood school, or move in search of a better option. But what kind of data do parents actually use while choosing schools? Are there differences among suburban and urban families? How do parents’ choices influence school and residential segregation? The chapters in Choosing Homes, Choosing Schools, a new edited volume by Annette Lareau and Kimberly Goyette, present a breakthrough analysis of the new era of school choice, and what it portends for American neighborhoods. The distinguished contributors to Choosing Homes, Choosing Schools investigate the complex relationships among education, neighborhood social networks, and larger patterns of inequality. For this presentation, Kimberly Goyette will provide the context for research that explores the intersections of residential and school segregation, home choices, and schooling decisions. 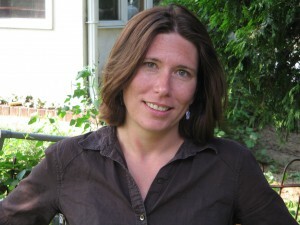 She will also briefly describe some of the main findings of the book and the ways that these choices differ across region, urban and surburban locations, and family demographic characteristics, Annette Lareau will present in-depth the research from her chapter, which draws on interviews with parents in three suburban neighborhoods to analyze school-choice decisions. Surprisingly, she finds that middle- and upper-class parents do not rely on active research, such as school tours or test scores. Instead, their decision-making was largely informal and passive, with most simply trusting advice from friends and others in their network. Little previous research has explored what role school concerns play in the preferences of white and minority parents for particular neighborhoods, and how the racial and economic makeup of both neighborhoods and schools mutually reinforce each other. Choosing Homes, Choosing Schools adroitly addresses this gap and provides a firmer understanding of how Americans choose where to live and send their children to school. Parking in Rutgers–Camden lots is by permit only. Visitors to Rutgers–Camden should obtain atemporary permit to park in a lot from 8 a.m. Mondays through 5 p.m. Fridays. This page was printed from http://cure.camden.rutgers.edu/2014/05/07/next-cure-seminar-thursday-may-8-2014/ at 9:03 AM Saturday, April 20, 2019.